I don’t know about you, but when I’m reading, I can always picture the scenery, the setting, and most importantly, what celebrities I would cast as the characters. For me, it always helps me to get more into the book. Some of the most popular and talked about books (I’m looking at you, Skyy) have been discussed frequently as to who would play the roles of the main characters. For me, it may not always be about looks, but just about who could bring life to the roles. These are just a sampling of whom I could see in my favorite books. Agree or disagree? She has the physique and the attitude. She could make women swoon (at least for me). I think AzMarie embodies who Denise is: power with a sensitive side. Her being gay will also bring an authenticity to the role of Denise. AzMarie would need to bulk up a bit, and grow her hair out, but she’s who I picture when I think of Denise. She’s been a baller most of her life. She’s weathered some troubles. All of which can only help her in the role of Symone, who falls but never loses her stride. I would love to see what Chamique could bring to this role. Though she doesn’t have the engineer’s trademark dreadlocks, Sonja is whom I picture playing Alana. From her turn on The Wire, Sonja has a strength and maturity I could see her bringing to disabled Alana’s story. That mellifluous voice doesn’t hurt also. 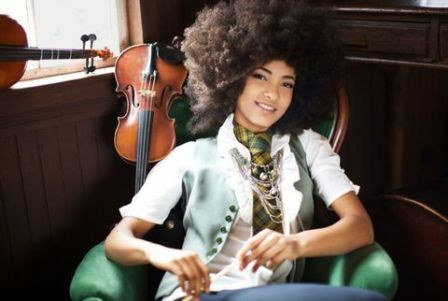 Jazz bassist, cellist and singer Esperanza is a true artist, just like sculptor Tonya. I know she could rock it. And have you seen Esperanza’s short movie, Radio Music Society, based on the album of the same name? She is a natural actress. Lynette, the love interest of main character Eve, is of African-American and Puerto Rican descent, and Tatyana’s own Afro-Panamanian-Trinidadian heritage can translate well to the role of Lynette. I had a hard time coming up with an actress who I really thought could fit the role of AnnMarie, a pregnant teen with big dreams while struggling in the projects. At first, I thought about Keke Palmer, but I wanted a under-exposed face for AnnMarie. 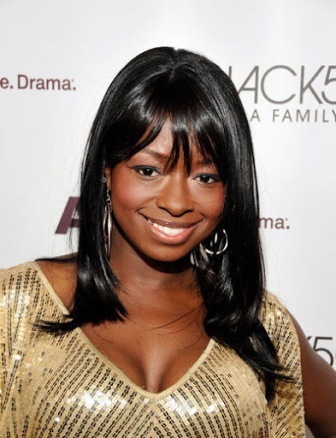 Rae’Ven, who portrayed a young Tina Turner in What’s Love Got To Do With It and A Time To Kill, has the chops to skillfully show AnnMarie’s dramatic life. So what do you think? Who could play the roles of your favorite characters?